This great truth is explained more completely by Belgic Confession, Article 20. God has given his Son to die for us “…by a most perfect love, and raising him to life for our justification, in order that by him, we might have immortality and eternal life.” And in Article 21, “…He endured all this for the forgiveness of our sins.” For this redemptive work we give praise and adoration. Generous God, overflowing fountain of gifts, we praise and thank you for blessings without number and mercies without end. To you we lift our hearts at the opening of worship, knowing that we are safe in your presence and secure in your love, through Jesus Christ our Lord. Amen. O God, beyond all praising, still we praise you because it is right and proper and fitting at all times and in all places. It is healthy for us to acknowledge your greatness and call attention to your goodness, which we do now and throughout our time of worship, through Jesus Christ our Lord. Amen. 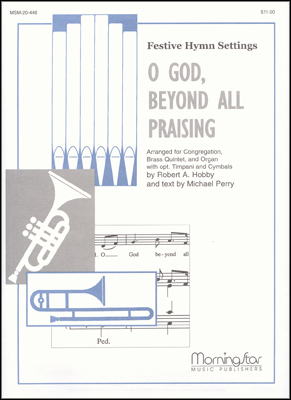 A grand hymn of worship, Michael Perry’s text was published in Hymns for Today’s Church (1982), one of the Jubilate publications that he edited. In 1921 Gustav Holst extracted his THAXTED music from the “Jupiter” movement of his astrological orchestral suite, The Planets, Op. 32; it has been associated as a glorious ABA hymn tune with this and other texts. Initially studying mathematics and physics at Dulwich College, Michael A. Perry (b. Beckenham, Kent, England, 1942; d. Tonbridge, Kent, England, 1996) was headed for a career in the sciences. However, after one year of study in physics at the University of London, he transferred to Oak Hill College to study theology. He also studied at Ridley Hall, Cambridge, and received a M.Phil. from the University of Southhampton in 1973. Ordained a priest in the Church of England in 1966, Perry served the parish of St. Helen's in Liverpool as a youth worker and evangelist. From 1972 to 1981 he was the vicar of Bitterne in Southhampton and from 1981 to 1989, rector of Eversley in Hampshire and chaplain at the Police Staff College. He then became vicar of Tonbridge in Kent, where he remained until his death from a brain tumor in 1996. 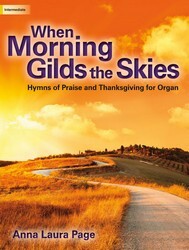 Perry published widely in the areas of Bible study and worship. He edited Jubilate publications such as Hymns for Today's Church (1982), Carols far Today (1986), Come Rejoice! (1989), and Psalms for Today (1990). Composer of the musical drama Coming Home (1987), he also wrote more than two hundred hymns and Bible versifications. Gustav Holst (b. Cheltenham, Gloucestershire, England, September 21, 1874, d. London, England, May 25, 1934) was a renowned British composer and musicians. Having studied at Cheltenham Grammar School, he soon obtained a professional position as an organist, and later as choirmaster. In 1892, Holst composed a two-act operetta, which so impressed his father that he borrowed the money to send Holst to the Royal College of Music. Severe neuritis in his right hand later caused him to give up the keyboard, and Holst turned to the trombone and composing. In 1895 Holst met Ralph Vaughan Williams, and the two became lifelong friends. Vaughan Williams helped Holst land his first job as a singing teacher. Holst became very interested in Indian and Hindu culture, and composed a number of operas translated from Sanksrit myths. These were not received well in England, however. Holst is best known for his composition, The Planets, as well as The Hymn of Jesus. The success of these two works garnered Holst the leisure to leave teaching and spend all his time composing. His later works were not met with such great success, however, and Holst’s later years were spent in much weariness, though he continued to write, composing a total of thirty operas. Holst died after an operation left his heart too weak.